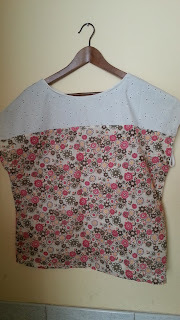 My second Damenshirt/Women's Shirt Sara, pattern is from www.pattydoo.de. 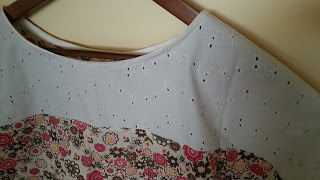 Normally this is better with jersey fabric but in this case I experimented using a woven cotton fabric but it wasn't a good idea since I am big on the tummy area, so if using cotton better if I am slim then it wouldn't be a problem I guess. 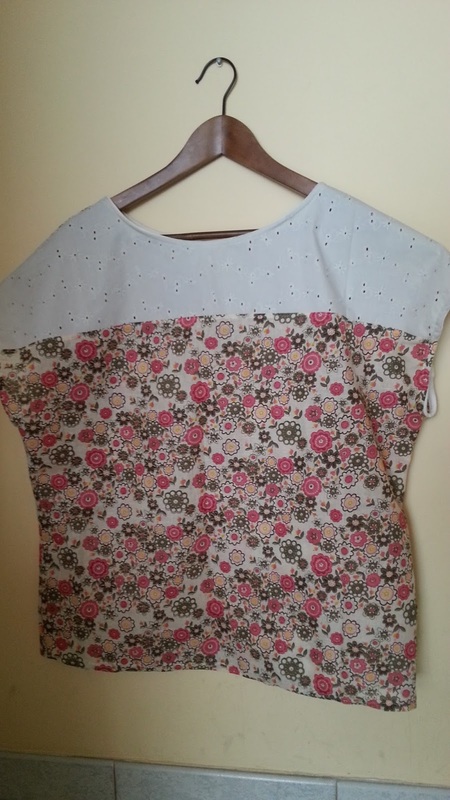 I combined it with an eyelet fabric yoke that is from my stash. Flowery fabric I bought it from a recent trip to Stoffenspektakel/Marché du Tissu here in Liège, as you can see it from this video.